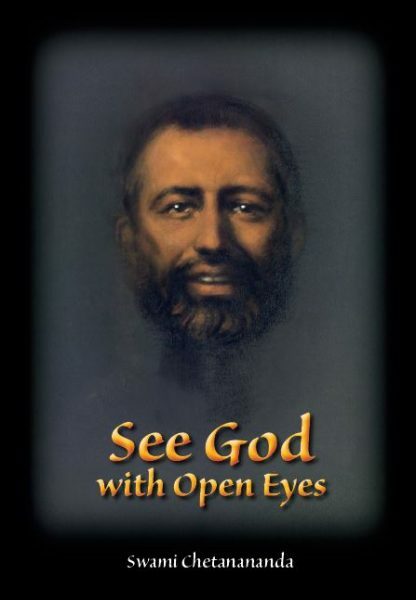 See God with Open Eyes: Meditation on Ramakrishna — this title raises several questions: Does God have a form? Can we see God as we see other objects and beings in this world? Can we hear or touch God? Ramakrishna answered these questions with his words and through his life — and many of those answers are collected in this book. When God takes a human form, we want to see how that avatar lives, acts, talks, walks, laughs, cries, eats, and sleeps like other human beings. This book depicts how lovers of God can establish and deepen their relationship with Ramakrishna through prayer and meditation, and that strong bond makes them feel safe, secure, and saved. In the galaxy of world spirituality, Bengali mystic Ramakrishna Paramahamsa (1836-1886) was a supernova. On fire with devotion for the great Hindu goddess Kali, he nevertheless demonstrated in his own actions that ultimately all religious faiths lead to the Divine—a radical concept in the 19th century. The Gospel of Sri Ramakrishna, a compendium of many of the Master’s sayings, is widely considered one of the greatest spiritual masterpieces of the modern era. In 1893 Ramakrishna’s disciple Swami Vivekananda delivered his teachings to Europe and America, igniting the yoga movement in the West. In See God with Open Eyes, Swami Chetanananda has collected gems of wisdom from the great Master in a work specifically designed to galvanize our own spiritual experience. Meditation and visualization: what is the difference and is one more valuable than the other? Should meditators focus on the eyebrow center or the heart? Why do yogis chant the syllable Om? Which lifestyle is more conducive to spiritual growth: living with one’s family or withdrawn from worldly life? Is there a God or is the ultimate reality distant and impersonal? How should we pray and what should we pray for if we aspire to feel the living presence of the Divine as powerfully as Ramakrishna did? What practices did the great Master himself perform to attain realization of the Divine? In this book Ramakrishna becomes our spiritual advisor, guiding us in his unfailingly charming and down-to-earth manner. When we focus intently on specific spiritual qualities consistently over a period of time, we acquire those characteristics. Here we discover how we can meditate on Ramakrishna’s image, his inspiring words, deeds, divine qualities, and even on the sites where Ramakrishna lived and worshiped, to connect with the great saint’s wisdom and grace. As Swami Chetanananda points out, the great Master’s mind was extraordinarily pure and God-centered. By meditating on the Master, we invoke that purity and devotion in ourselves. It goes without saying that today we are living in a time of world crisis. Now more than ever the men and women of this beleaguered planet need to awaken spiritually so that we can realize our fundamental unity. Ramakrishna called on all of us to set aside our religious and cultural differences in order to come together in celebration and service, in mystical enlightenment. 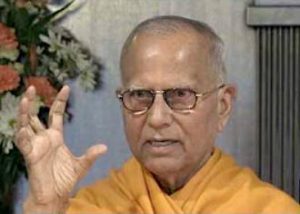 Swami Chetanananda is one of the world’s foremost authorities on Ramakrishna and his tradition. He has authored, edited, and translated a host of inspiring yet comprehensive books, among them Ramakrishna as We Saw Him, They Lived with God, God Lived with Them, How to Live with God: In the Company of Ramakrishna, and Sri Ramakrishna and His Divine Play. In his own time Ramakrishna was an uneducated temple priest who earned barely five rupees a month. Today he ranks with Rumi, St. Francis of Assisi, and Kabir as a master whose words and living example continue to inspire millions. 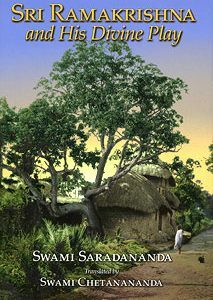 For readers new to Ramakrishna, this book is an inviting entry point to his amazing life story. For those who have already loved the Master for years, whether your eyes are open in daily activity or closed in meditation, See God with Open Eyes will accelerate your spiritual journey. Thanks to Swami Chetanananda for these powerful reflections on the meaning of authentic religious experience. For anyone sincerely interested in getting beyond the pop spirituality of our Internet age, this book will be a treasure. Meditation, prayer, the role of scripture, states of mystical awareness—all these and more are discussed with profound insight, as inspired by the teachings and extraordinary experiences of Sri Ramakrishna Paramahamsa, certainly the most important spiritual luminary of our time. 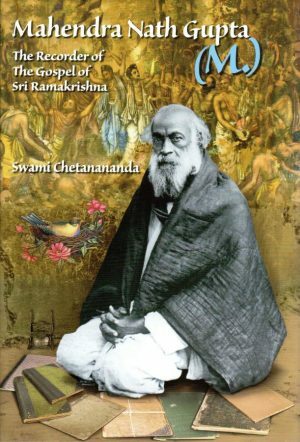 Swami Chetanananda has performed a wonderful service in writing this treasure of a book. Using the life and teachings of Sri Ramakrishna as its template, this book is an almost comprehensive guide to the spiritual path. With its combination of meticulous research and spiritual insight, See God with Open Eyes displays the scholarly gifts as well as the depth of the practice of its author, a senior scholar-monk of the Ramakrishna Order. One hopes this book will be disseminated widely. Swami Chetanananda’s newest book strikes a different tone from his earlier books and is a welcome addition to his prolific contributions through the years. 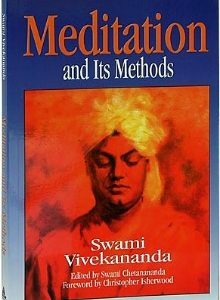 In this current book, he addresses the issue of meditation and the manner in which the practice of meditation may lead the seeker actually to “see” God as the title of his book suggests. The various chapters focus on how Ramakrishna himself can become an object of meditation: his physical form, his mind, his divine qualities, and so forth. The book is also a rich source of anecdotes from the life of Ramakrishna. Apart from the mystics and illumined souls, many people doubt the existence of God and think that it is impossible to see God with their eyes open. The doubters’ misgivings will be dispelled only if they practise spiritual disciplines according to the guidance of an illumined teacher. Many mystics of different religions have testified that they have seen God and heard God’s command. Moses heard the voice of God from within a burning bush, “I am that I am.” Later he received the Ten Commandments from God on Mount Sinai. Saint Teresa of Avila saw Jesus and talked to Him. Swami Vivekananda wrote in the Rule Book of Belur Monastery: “The Lord has not yet given up the Ramakrishna form. Some see Him in that form even now and receive instructions from Him, and all can see Him if they so desire. This form will last until He comes again in another gross body. Though He is not visible to all, that He is in this Order and guiding it is a fact of everybody’s experience.” In fact, if one sees an Incarnation of God it is the same as seeing God. Jesus also said: “Whoever has seen me has seen the Father” (John, 14:9). The Vedanta scriptures such as the Upanishads and the Bhagavad Gita emphasize that Brahman or the Atman cannot be perceived through our eyes or through any of the other senses. The Shvetashvatara Upanishad says: “His form is not an object of vision; no one beholds Him with the eyes. They who, through pure intellect and the Knowledge of Unity based upon reflection, realize Him as abiding in the heart become immortal” (4:20). The Mundaka Upanishad says: “Brahman is not grasped by the eye, nor by speech, nor by the other senses, nor by penance or good works. A man becomes pure through serenity of intellect; thereupon, in meditation, he beholds Him who is without parts” (3:1:8). In the Gita, before showing Arjuna his Universal Form, Krishna said to him: “With these eyes of yours you cannot see Me. I give you a divine eye; behold, now, My sovereign yoga-power” (11:8). Meditation is the science of calming the mind and attaining spiritual enlightenment. Various teachers worldwide have developed methods to still the restless mind. Equanimity of the mind is called yoga. Patanjali, the founder of yoga psychology, taught that one can control and calm the mind by repeated practice and nonattachment. In fact, practice makes a person perfect. Suppose I want to meditate for sixty minutes, but I fail to focus the mind for fifty-nine minutes. At least I connected my mind with God for one minute: that experience will stay with me forever. It is as if someone brought sixty grains of sugar and dropped one grain on my tongue but took away fifty-nine grains. The experience of that one grain of sugar convinced me that sugar tastes sweet. Thus I shall never doubt the taste of sugar in my whole life. Another example: A mason tried to break a piece of stone by hammering it for fifty-nine times, but failed. However, he succeeded in breaking it on the sixtieth stroke. Did those fifty-nine strokes go in vain? Thus our spiritual journey is a series of ups and downs. Without struggle, there is no victory. When God takes a human form, we want to see how that avatar lives, acts, talks, walks, laughs, cries, eats, and sleeps like other human beings. When we study the lives of Rama, Krishna, Buddha, and Jesus, we observe their overwhelming divine aspects and supernatural power, but learn very little about their human aspects. We do not see them laughing, crying, and joking like other human beings; but in the Ramakrishna literature we can see the Master crying bitterly for God and his devotees, laughing heartily during conversations, making jokes with his disciples, and also merging into samadhi. Ramakrishna was never a dry monk. As human beings, this human aspect brings us closer to him, and we feel he is one of us and our very own. What shall we do with a God who is seated on a throne in heaven? We need that avatar who will be our eternal companion in our day-to-day life. This book depicts how lovers of God can establish and deepen their relationship with Ramakrishna through prayer and meditation, and that strong bond makes them feel safe, secure, and saved. Finally, Ramakrishna’s heavenly smile during samadhi is an instance of how this joyless world can be transformed into a mansion of mirth.